First was the wine, then came the Sunset WineGarden Restaurant. What was missing was a place to stay for a couple of days in the middle of the beautiful vineyard. We generously capitulated to demand to form the trinity of excellence to extend the moments best for those endearing moments. The idea to build the MONTE diVINO Lodge came from many visitors of the vineyard and of its Sunset WineGarden: "We wish we could stay here for a couple of days. So close to the fabulous Inle Lake and yet in the middle of a genuine vineyard", or to say it in German and quoting Faust: "Verweile, Augenblick, Du bist so schön." Only a pleasant 30 minutes drive separates the lodge from Nyaung Shwe, the Northern shore of famous Inle Lake, in the middle of the rolling Tuscany- similar vineyard, the “Monte diVino Lodge in the Vineyard” is located. At the doorsteps of Aythaya Vineyard and less than 20 minutes away is the capital of the Shan State, Taunggyi, with its vibrant colorful markets, cultural artifacts and diverse mountain ethnic groups. Beautifully SPINE - designed and built bungalows with spacious living rooms and terraces, surrounded by natural settings and with the vineyard visible from all corners. 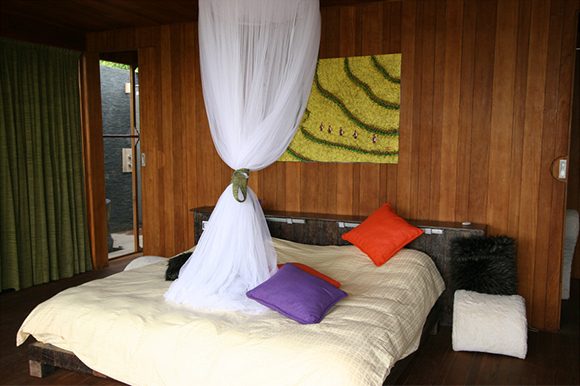 Incomparable floor-to-ceiling windows open the view of the Blue Mountains at the horizons of Shan State. Delight in our wine-country inspired complimentary breakfast as a guest at The Lodge served in our Sunset Wine Garden Kitchen each morning. 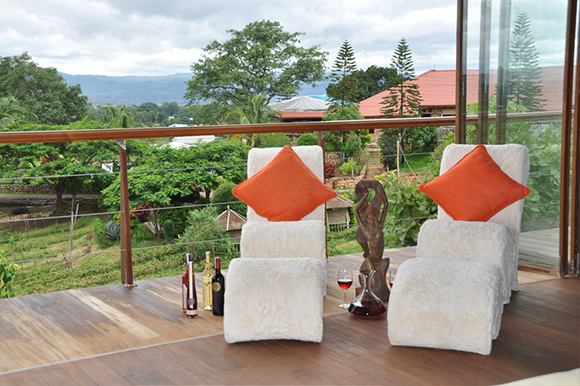 Enjoy sweeping blue mountain vineyard vistas of Shan state with views from indoor seating as well as on the outside patio. Breakfast Hours: 7 a.m. – 10 a.m.
Feast on a variety of fresh tropical fruits, daily homemade local and European foods with freshly brewed coffee and a variety of juices. Whether you linger over a relaxing breakfast or simply grab a quick bite before biking, boarding, walking or trekking, we provide the perfect start for an idyllic day in wine country. The “MONTE diVINO Lodge in the Vineyard” is South East Asia’s perfect Wine Country getaway. Romantic, serene, private bungalows offer an appreciated standard of comfort with rustic back country elegance. Stays include a full breakfast and an afternoon wine tasting to learn about wines plus tips with food pairings for both international and local cuisines. Immerse yourself in the unforgettable one-of-a-kind experience at the Monte diVino Lodge in the beautiful Aythaya vineyard. 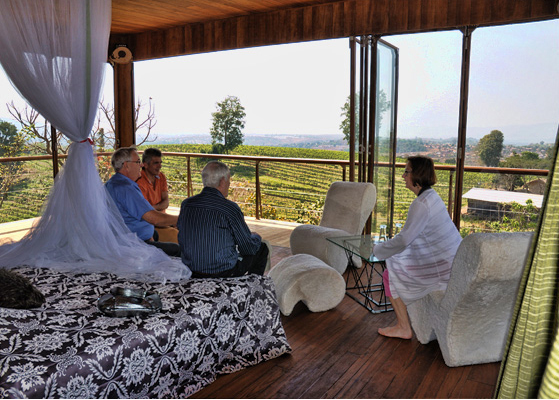 Relaxing & intimate atmosphere, overlooking the vineyard with gorgeous sunset views. Lover’s expectations will be met with friendly hospitality, coupled with the demand for intimate privacy.